A basic understanding of Ruby and CoffeeScript will help you with this tutorial. 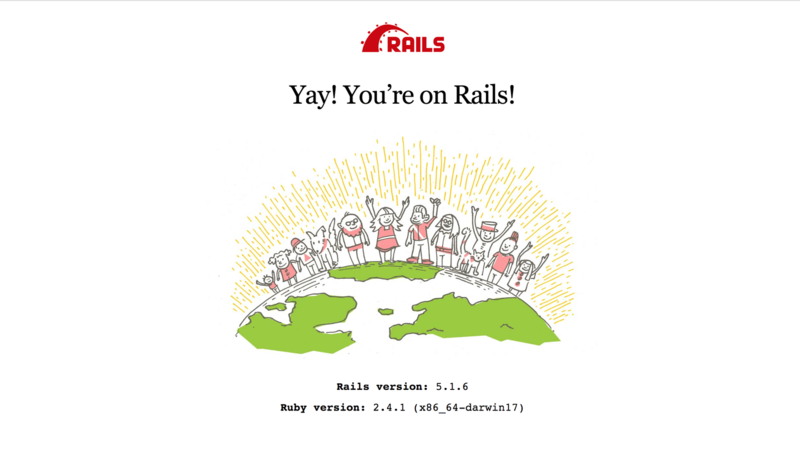 You need to already have Ruby and Rails installed on your machine, as well as PostgreSQL. The ability to update data in realtime is one of the top requirements for web applications in today’s world. Users prefer realtime update as opposed to constantly refreshing a page to see new information. With that being said, implementing realtime update of information in any web application can be challenging and has to be done right. This post aims to show you how to achieve that with the help of Pusher in a Ruby application. A basic understanding of PostgreSQL, Ruby and CoffeeScript will help you with this tutorial. You should also have PostgreSQL installed. Kindly check the PostgreSQL, Ruby and Rails documentation for further installation steps. The command above creates a new Rails application. The -T flag excludes generation of test files as we won’t be writing any tests. 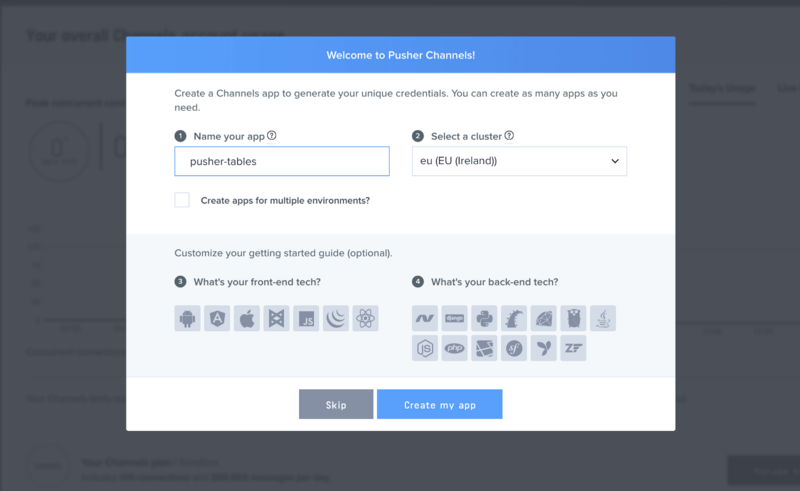 Next, we have to create a database called pusher-tables_development for our app. Check out this article on how to create a Postgres database and an associated user and password. Head over to Pusher and sign up for a free account. A Pusher account is required for the realtime functionality in our app. After running those commands, restart your server and reload your browser page. You should still see the welcome page. We’re about to change all that. 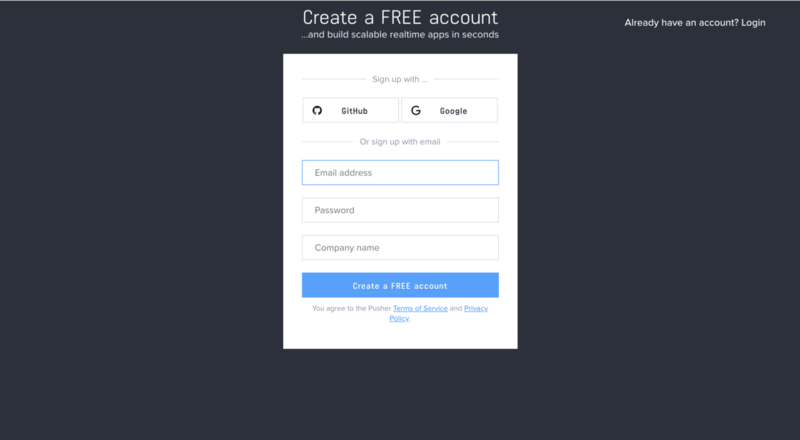 With that, your landing page should now contain a table with headings. Let’s style it up with Bootstrap. If we restart our server and reload the app, we should see that the fonts have changed courtesy of Bootstrap. If you encounter a RegExp error while trying to set up Bootstrap, In config/boot.rb, change the ExecJS runtime from Duktape to Node. The code above adds Bootstrap styling to the table on our landing page. It also instantiates a new employee record in the index method of the employees controller. If you reload the landing page, you should see the table and form in all its glory. Now that our form uses AJAX, we’ll handle updating the table with CoffeeScript. In the above code, we add an ajax:success event listener to our form courtesy of jQuery-ujs. Whenever we add new employee records, we get our newly added employee as a response and update our table with it. Lets reload our page and add a few employees, they should pop up on the page as soon as we hit submit. 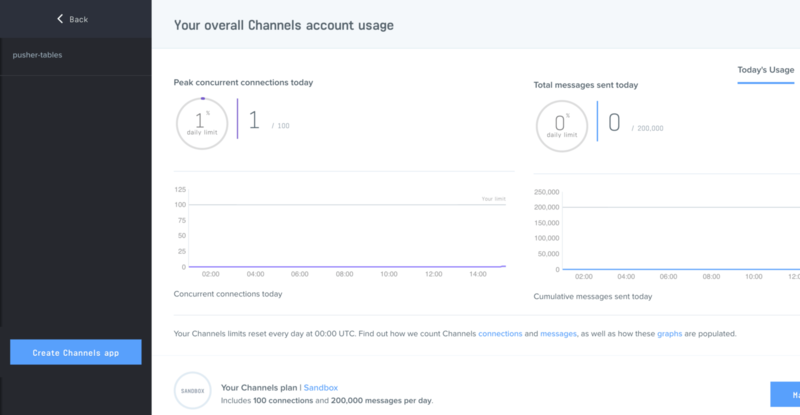 To update our table realtime, we publish the new employee record to a channel and subscribe to it on the frontend of our app. In the employee model, we add an after_commit callback which calls a method that publishes the new record. We use after_commit so data is published whenever we add or update a record. Here, our initialized Pusher client triggers an event called new through a channel named employee. So the server is pushing data out on each change, now it’s up to the client to listen for those changes and do something with that data. To do this, we rename our employees.coffee file to employees.coffee.erb so we can sprinkle some Ruby code in it. So far, we have learnt how to leverage the realtime functionality provided by Pusher to display updates in realtime. Feel free to explore more by visiting Pusher’s documentation. Lastly, the complete source code of this demo application is on Github.